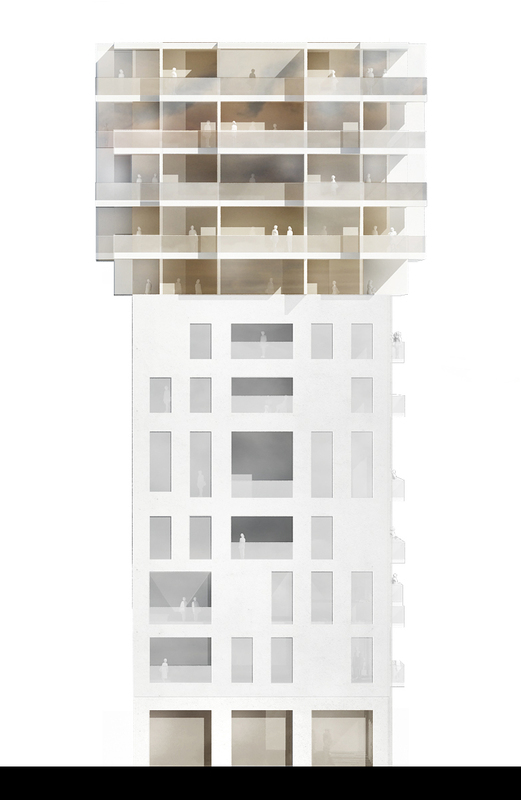 Our competition proposal for the transformation of a GDL-Silo in Nordhavn was conceptually motivated by the desire to create a monumental housing project which accentuates the contrasting qualities of new and old, large and small, light and massive. Much of the original concrete building is reused and celebrated, and a clear distinction is made between the old and the new. 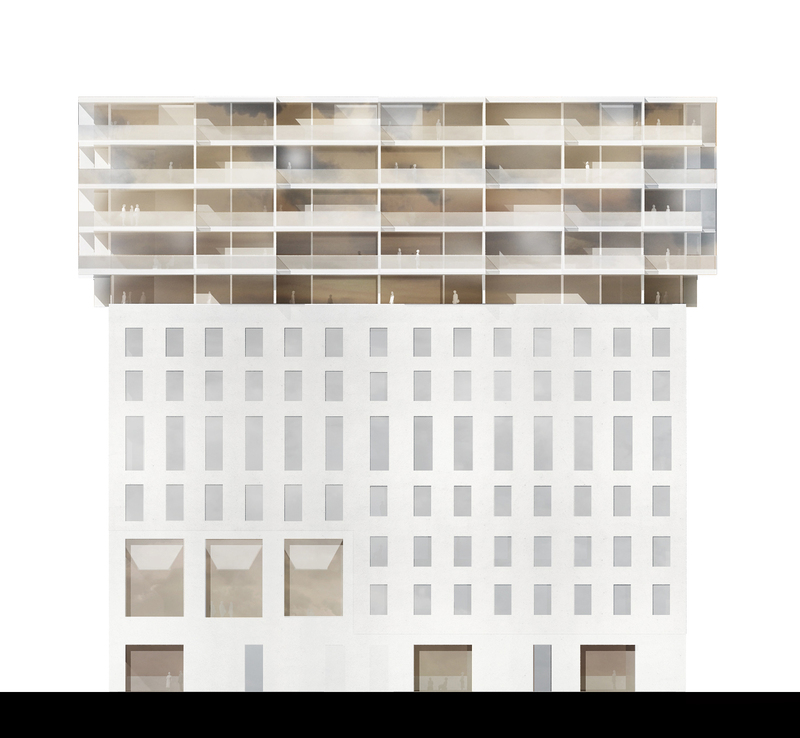 The project’s name “Skyen” (“The Cloud”) is a metaphor for the building’s composition: the old concrete silo as a massive rough base on top of which sits a new and light-weight construction which reaches up towards the sky. 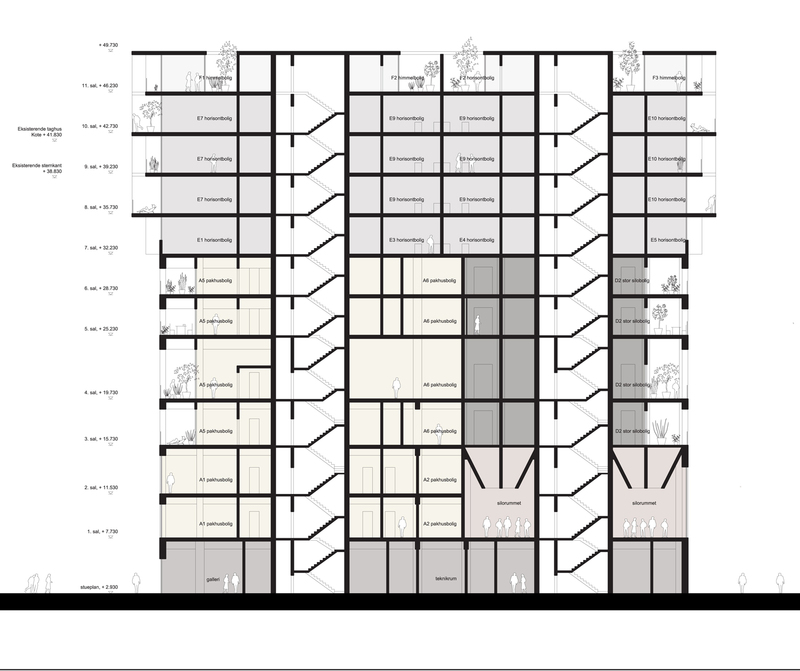 The housing which is placed in the existing section of the structure is based on the construction, coarseness and organisation of the former silo through which extensive openings and passages have been made to form windows and circulation. 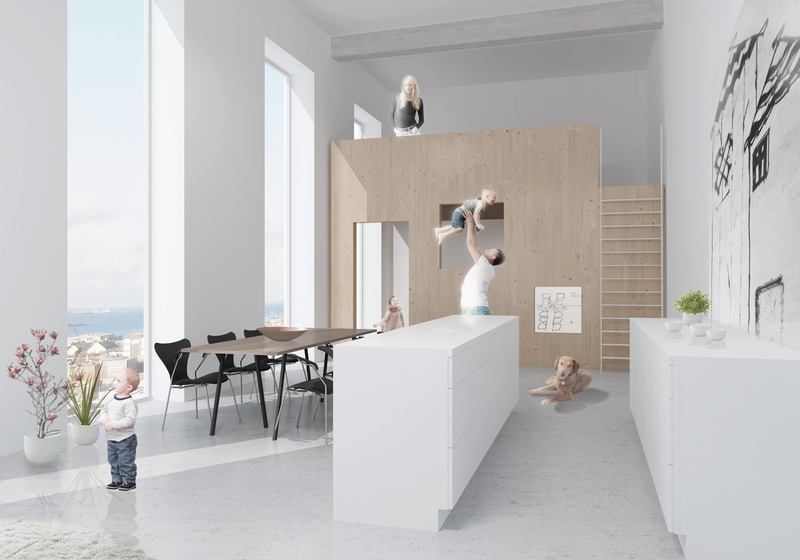 This creates high ceilinged, spacious apartments with a unique connection to the building’s original materiality and form. 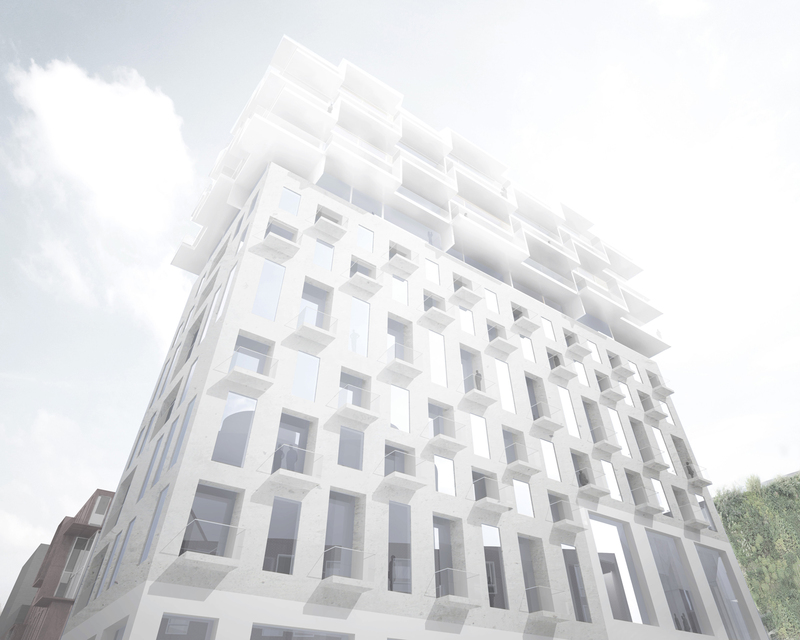 The new lightweight construction in the topmost section of “Skyen” allows for the possibility to create large, open residences which can benefit from both internal terraces and external patios, giving fantastic views out over Copenhagen and Oresund. 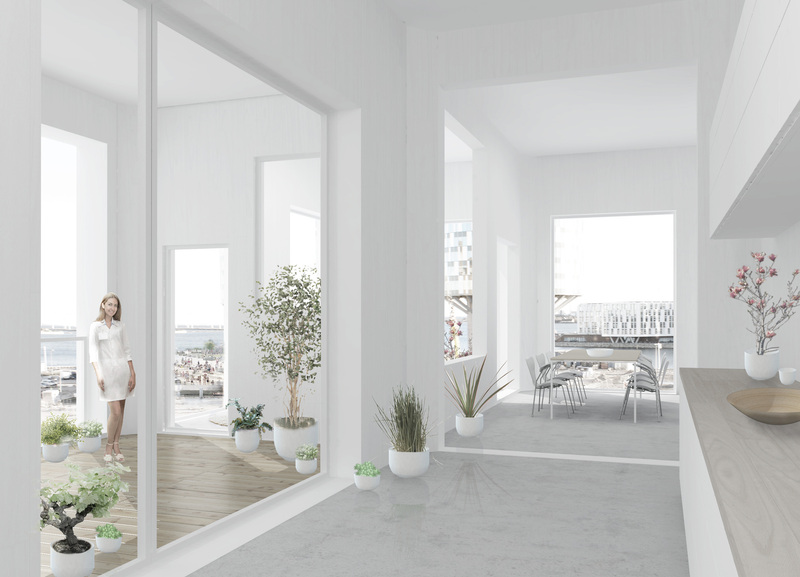 “Skyen” is a sustainable transformation and reuse of a key part of the cultural heritage of Nordhavn, transforming an industrial relic into high quality modern housing.